Renault Clio Running Costs, MPG, Economy, Reliability, Safety | What Car? For a Clio in a decent specification – we’d recommend the Dymanique Nav trim – it’s not the cheapest cash buy, with the Skoda Fabia for example, costing quite a bit less. Still, most will be bought on finance, and with appealing finance offers and dealers willing to offer discounts if you haggle, you should find a competitive monthly rate. Running costs should be decent, too, with reasonable real-world economy from the petrol engines (we recorded a respectable 43.5mpg in our tests on the 0.9-litre petrol) and even more frugal diesels, plus low insurance and road tax rates. Traditionally, though, resale values have been poor, so don’t expect your Clio to be worth a fortune when you decide to sell. Even entry-level Clios get a fair amount of standard equipment; Expression models bring USB connectivity, electrically operated front windows, LED daytime running lights and cruise control. You’ll need to move up to at least Play if you want to swap wheel trims for 16in alloy wheels and add air-conditioning, though. 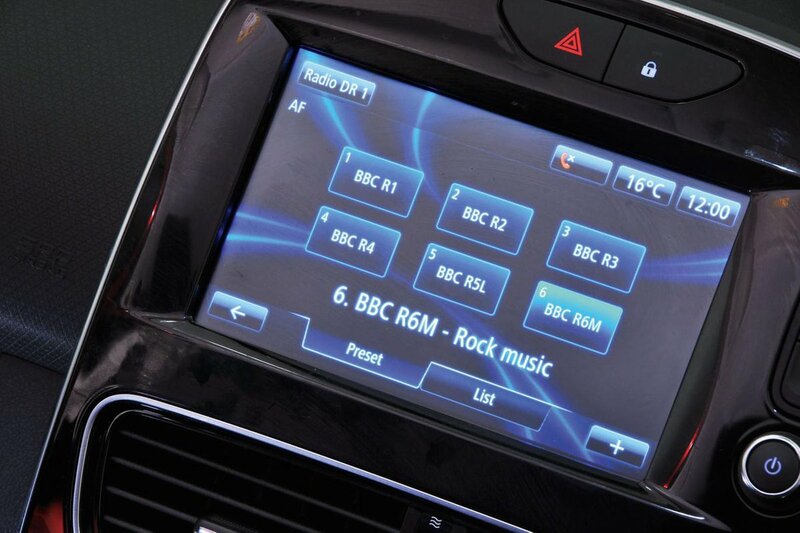 Step up to the centre of the range, and you’ll find our favourite Dynamique Nav trim. This comes with a 7.0in touchscreen infotainment set-up, automatic lights and wipers, keyless entry, along with a mix of plusher materials that give the interior a real lift. Dynamique S Nav is rather pricey, but adds handy rear parking sensors, climate control, 17in alloys, LED headlights a front centre armrest and rear electric windows. Signature Nav carries the upgraded infotainment system with online features, front and rear parking sensors, a rear-view camera, and part-leather heated front seats. The RS models are based on the Dynamique S Nav trim, but add features including a dual-clutch automatic gearbox (with manual change paddles behind the steering wheel), lowered sports suspension, launch control, sports seats, and aluminium pedals. 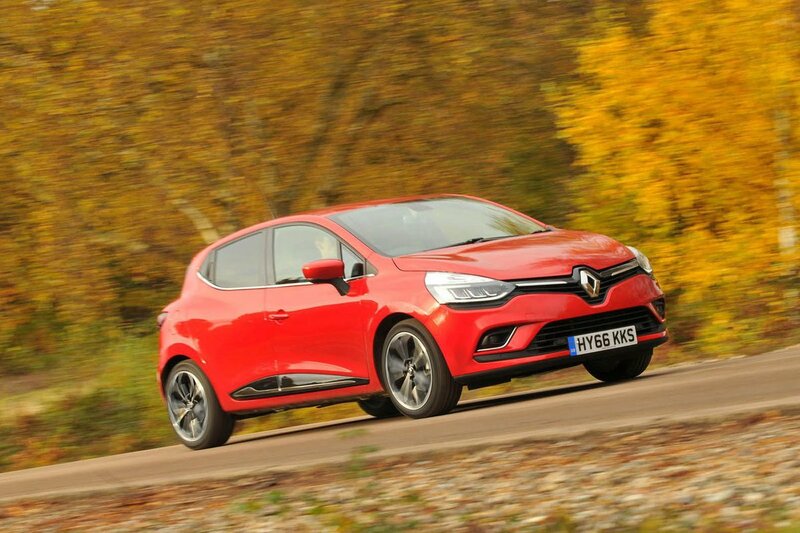 The Clio hasn’t appeared in our most recent customer satisfaction surveys but Renault as a whole has a questionable reliability record. In our most recent survey it finished 21st out the 37 manufacturers surveyed, and behind most of its major rivals. Renault provides a three-year warranty with no mileage limit in the first two years, but a 60,000-mile overall cap on year three. This doesn't look particularly generous when compared to the five-year/unlimited mileage policy of Hyundai, or Kia's seven-year/100,000-mile warranty. Every Clio gets a reasonable line-up of safety equipment, including six airbags, anti-whiplash headrests and Isofix child seat anchorage points on three of the five seats. All versions also come with electronic stability control. 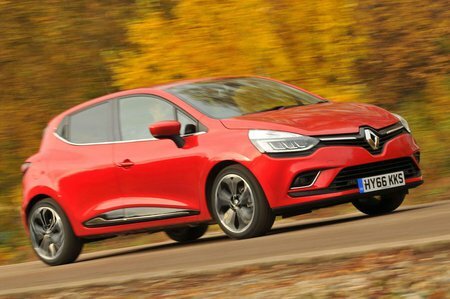 However, some of the more modern features that can be had on its competitors, such as automatic emergency city braking, blind spot monitoring, or lane assistance aren’t available on the Clio.